The concept of angels and the part they play in a person’s life are nothing new, and they are especially not anything new in the literature of today. Entire books have been written on the subject of angels, a word derived from the Greek, angelos, meaning “messenger.” D. H. Lawrence wrote that, “The highest function of mind is its function of messenger.” How they appear to us and how we discern their constant and continual influence is something that has yet to be revealed. The purpose of this book is not only to share my journey of discovery but to encourage others to become aware of and share similar revelations. It is hoped that not only do these insights open your eyes to the concept of angelic influence, but also to the various forms that they may take in your life. There are surely times when we all have felt alone. In looking back over my life, experience has revealed that we are ultimately never alone and are unconditionally loved, guided, and supported. 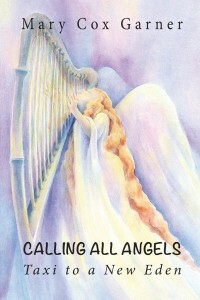 This is illustrated in several taxi and other various related inspirational stories that also show how angelic encounters can happen anywhere and often. I am confident that through reading Calling All Angels: Taxi to a New Eden, you may be prompted to discern this actuality in your own life.